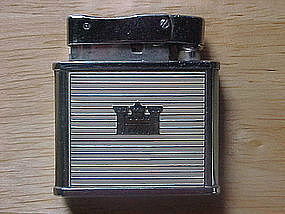 Nice 1950's Kent Cigarettes advertising cigarette lighter in very fine condition!!! 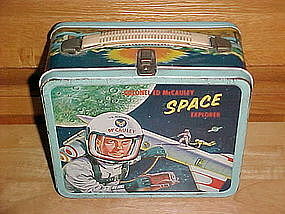 The bottom is signed " COLVAIR SLIDE-O-MATIC F JAPAN." This lighter is 1 7/8" high an 1 3/4" wide. 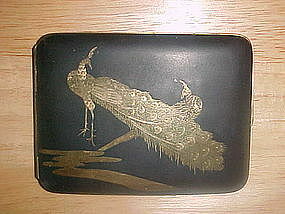 Beautiful vintage dealers card rack made of wonderful marblelized butterscotch bakelite. This item also comes with its original box! This card rack measures 5 1/4" long x 3 5/16" wide x 1 1/2" high. It is in EXTRA FINE CONDITION!!! 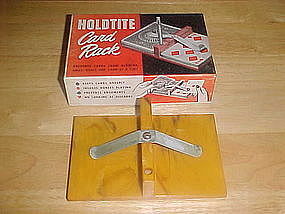 This rack is signed " HOLDTITE U.S. PAT. APPLIED 1-24-48 No. 4157 SERIES 1948." Beautiful pre 1950's dealers card rack of wonderful marblelized red bakelite. It also comes with its original box!!! 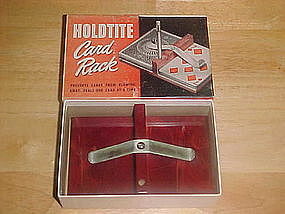 The bakelite rack is signed " HOLDTITE U.S. PAT. APPLIED 1-24-48 No.4157 SERIES 1948." This card rack measures 5 1/8" long x 3 3/8" wide x 1 1/2" high. This card rack is in EXTRA FINE CONDITION!!! $50.00 - "SOLD" - THANK YOU!! 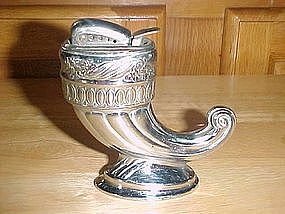 Vintage metal cornucopia table lighter made in occupied Japan. This cigarette lighter is in fine condition and is 3 1/4" tall. It is signed " MADE IN OCCUPIED JAPAN " both on the lighter and the base as seen in pictures. Circa 1949. 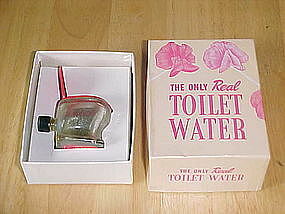 Cute 1940's toilet water bottle shaped as a toilet. This wonderful perfume bottle is in excellent condition and maintains its original label and cap. It also comes with its original box and cardboard insert. This glass toilet shaped bottle has an attached plastic red toilet seat. Again very unusual and cute!!! The bottle measures 1 3/4" high. 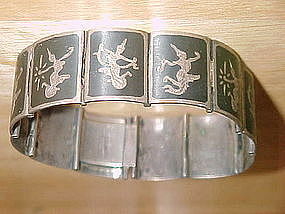 Vintage silver bracelet with 12 panels, each feathering a woman dancer in traditional costume. 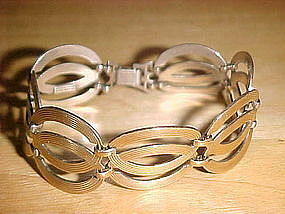 This bracelet was made in Siam (Pre-Thialand) and is signed "SIAM STERLING". It measures 7" long X 6/8" Wide. It is in very good condition, it just needs a good polishing. 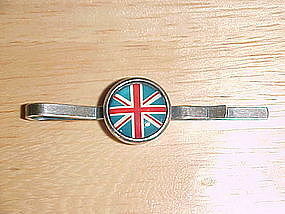 Very interesting vintage Men's Tie Bar featuring a incapsulated Union Jack British Flag. This tie bar is vintage 1950's or before and I believe it is made of Silver though it has no markings. 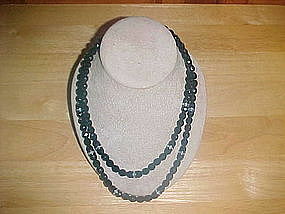 It is in extra fine condition and measures 2 1/4" wide. $ 25.00 - "SOLD" - THANK YOU !!! 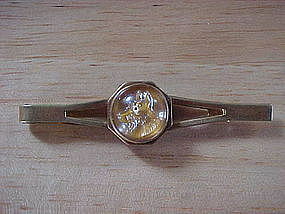 Vintage 1930's brass tie clip with a bubble glass center featuring a bust image of a Scottie or a Westie. This tie clip measures 2 3/8" wide and is in very good condition. 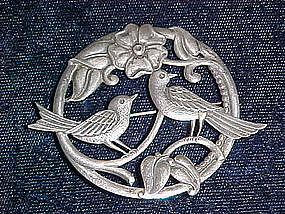 Beautiful vintage sterling silver pin featuring two birds on the floral vine. 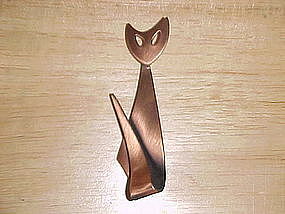 This pin is signed ' STERLING ' and has a Scandinavian deco look. 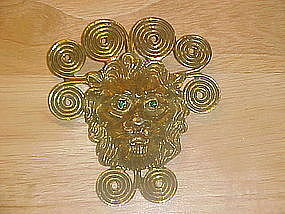 This pin is circa 19430's - 40's and is in extra fine condition! It measures 2 10/16" wide and almost 2 1/8" high. 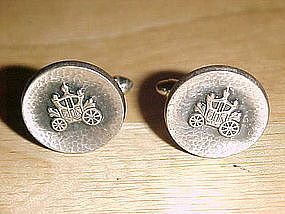 Wonderful vintage 1950's set of mens cufflinks. This cufflinks are made of sterling silver and signed 'HADLEY MADE IN U.S.A / STERLING.' Each cufflinks face bears an image of a fancy coach with a hammered texture background. 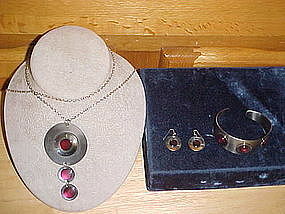 They are in very fine condition and each cufflinks face measures 3/4" in diameter. 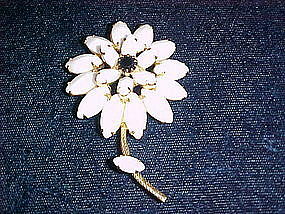 Pretty vintage 1950's two dimensional pin in the form of a full bloom flower. This pin consist of two layers of pronged solid white rhinestones with a center black rhinestone. This pin is in extra fine condition and measures 2 3/4" long.